The Low-Down: Job Titles Get Rebranded: Who Wants To Be A Ninja, An Evangelist Or A Wrangler? 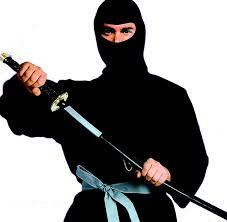 Job Titles Get Rebranded: Who Wants To Be A Ninja, An Evangelist Or A Wrangler? As the workplace changes, more companies are sprucing up job titles as a way to attract talent in a tight labor market. 40% of firms said they use titles to attract prospective employees, up from 31% in 2009. While some changes in title amount to merely rebranding, some businesses are establishing new roles to reflect changing workplace mores. (But) workers with more atypical-sounding titles on their résumés may find it more challenging to translate their work experience to new prospective employers. Financial-services firm OneAmerica has been around since 1877. To freshen its image with young recruits, it recently came up with a new title for a data-analyst job: data wrangler. Among younger workers, “the perception of the industry is that we’re old and crotchety,” said Todd Shock, vice president of data and analytics at the Indianapolis company. The newfangled title, on the other hand, suggests agility and willingness to take risks, he argued. “If I can put ‘data wrangler’ on a guy’s business card, and that’s what gets him here and excited, why not?” he said. As the workplace changes, more companies are sprucing up job titles as a way to attract talent in a tight labor market. According to a 2018 survey by compensation consulting firm Pearl Meyer, 40% of firms said they use titles to attract prospective employees, up from 31% in 2009. The standard “human resources” title, for example, has increasingly been replaced as companies seek to pitch the role as one more focused on employee well-being. In the past four years, the percentage of job postings seeking “head of people” has jumped more than threefold, according to job site Indeed.com. Meanwhile, ads seeking ninjas or rock stars—think “customer service ninja” or “sales rock star”—also have shot up. While some changes in title amount to merely a rebranding, some businesses are establishing new roles to reflect changing workplace mores. More companies, including tech firms such as Salesforce Inc., now have a chief ethics officer, for instance. The job is a twist on the traditional chief compliance role, focused more on helping companies navigate the complex terrain of how their business intersects with society and politics than just complying with regulation. Paul Wolfe, Indeed.com’s senior vice president of human resources, said the trend runs the risk of narrowing the applicant pool because many job seekers—particularly older ones—might not search more out-of-the-box terms as they scour job listings. Mr. Wolfe also cautioned that workers with more atypical-sounding titles on their résumés may find it more challenging to translate their work experience to new prospective employers. Many businesses using more distinctive titles argue they can attract the right candidates. At San Francisco-based print company Scalable Press, marketing head Julia Li is hiring for a “growth hacker,” a title that has gained popularity among startups in recent years. She said she is seeking candidates with less traditional marketing backgrounds. “If someone self-identifies as a growth hacker, they typically come with a different skill set: more of a technical background, not afraid to break a few eggs,” she said. Identifying his workers as “artists” lets him charge customers a premium, he added. Expect more companies to allow employees a say in what their titles ultimately look like, experts say. According to Pearl Meyer’s survey, 6% of firms give employees wide latitude in establishing their working title, up from 3.6% in 2009. “If you define your own title, you start taking ownership a lot more immediately,” said Thomas Schoenfelder, senior vice president at human-resources consulting firm Caliper.